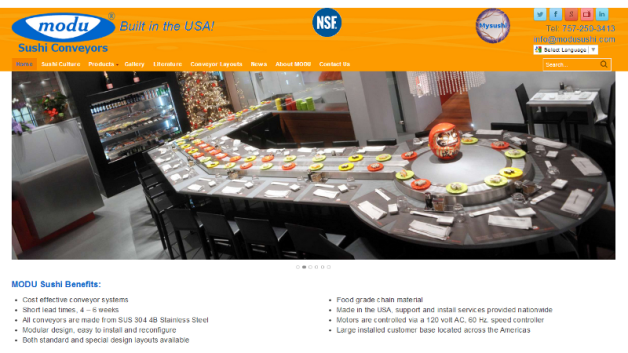 MODU Sushi Conveyors, a sushi conveyer system manufacturer, needed a new website that they could control themselves, with a password protected area for clients and employees. We created a content management system (CMS) WordPress website for them, that matched their existing branding, and taught them how to manage it. We also created and integrated social media networks for them, and added Google Translate, since they sell worldwide.